Using Slate as midi pads to control Obsidian is quite nice (I quite like playing synths off pads) and you can set whatever key for each pad you want (even colour code different keys). The only downer is lack of velocity and access to the performance controls on Obsidian (unless you have an external midi controller). Nice idea! 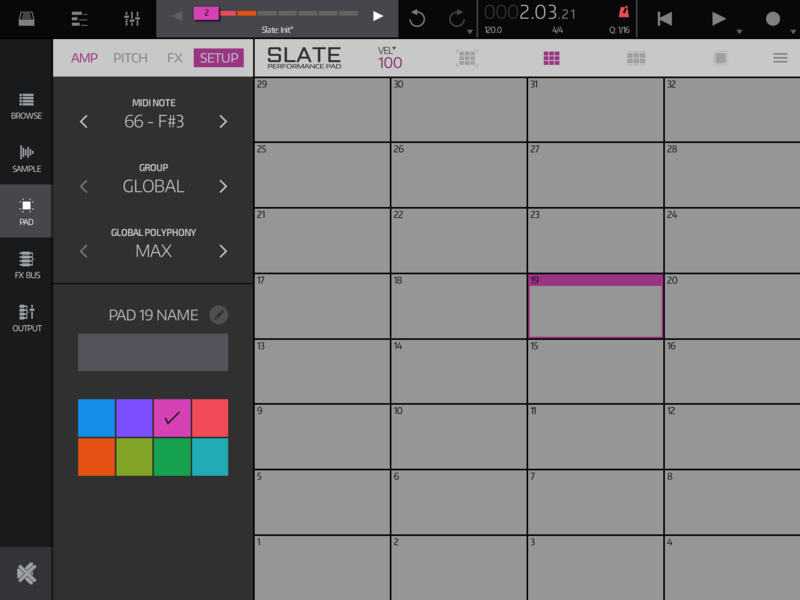 Would be cool if we all could make and share a set of empty scale-based Slate kits. Then use some AU MIDI effect to transpose them as needed. 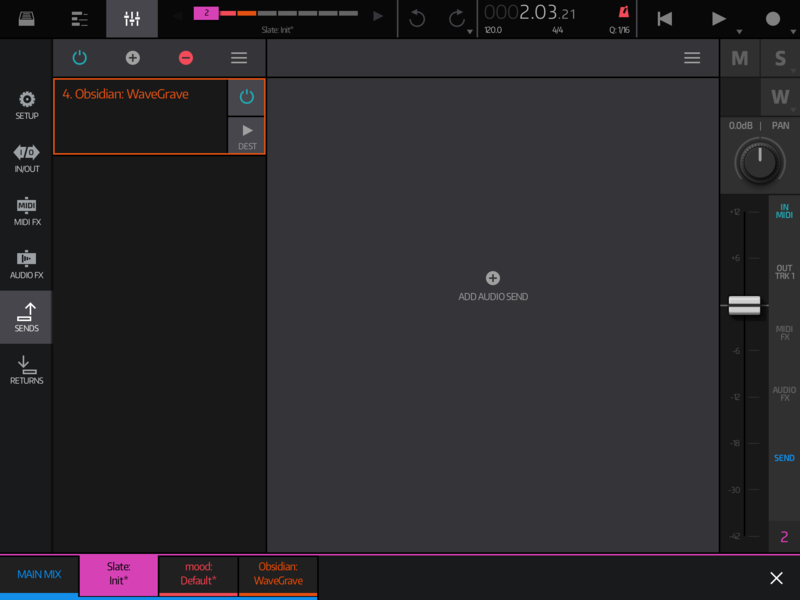 Works a bit like SampleVerse inside StageLight then you can route that out to a AU instrument. What a cool idea ! Wondering that this never came into my mind. I must admin it have some benefit to have there people with experience from "that DAW, which souldn't be named" :-D Definitely appreciating this idea and most probably will use it ! Thanks for sharing. Thanks to midi note split and mixer midi routing settings you can control even more Obsidians (or AU instruments) from single Slate ! Yep, will take me a while to get my scale kits done, but maybe if we all post the kits on this thread then at least we are sharing the burden. BM3s note order takes the convention of left to right, bottom to top (low pitch to high) - would it be a good idea If we all kept this convention? It's same in Slate, or i'm missing something ? Yes it’s the same. I just thought if we were sharing scales it’s worth mentioning what the convention is in case people decided to use something totally different - which is fine, but probably worth mentioning. Yeah, I’ve been planning on learning a second language since school, but all of a sudden I realised I’m middle aged and have drunk away too many brain cells! Does Modstep have a lot of groovy scales? I’ve not used it in such an age! Yeah actually Modstep does have a larger selection of scales than BM3.